Teenagers seem to be the center of attention at most theme parks, but some places know how to attract adrenaline junkies in a way that others can’t. These amusement parks for teens deliver a high concentration of roller coasters, plus other perks for teens, such as themed events and areas (yes, we’re talking about the Wizarding World of Harry Potter), and water parks. 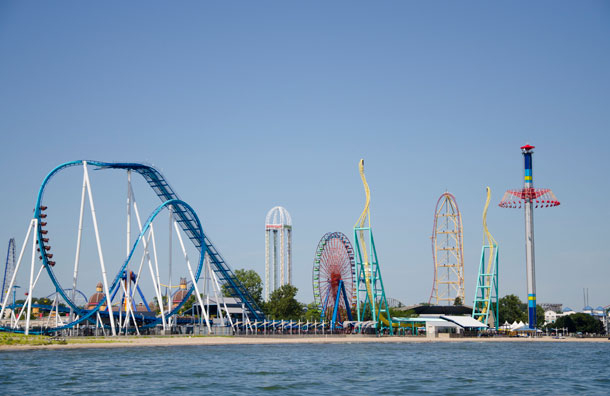 Did you know Cedar Point is the Roller Coaster Capital of the World? 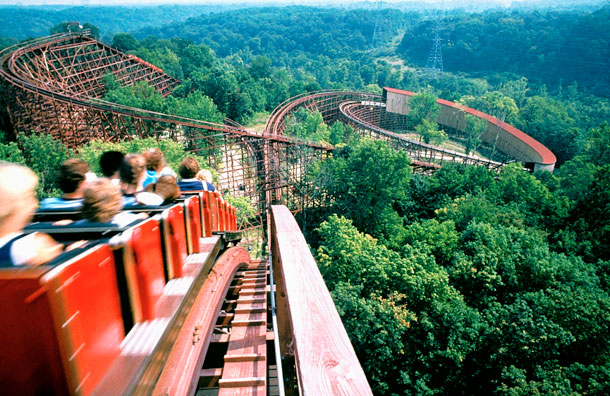 The popular park, located in Sandusky, Ohio, touts 17 coasters! 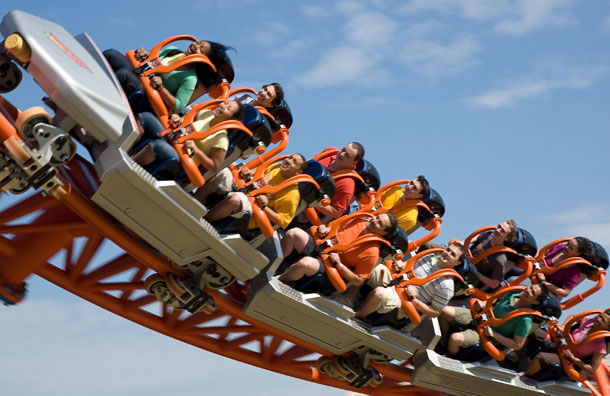 The park's extensive inventory includes Top Thrill Dragster, which accelerates from 0 to 120 mph in just four seconds, and Rougarou, a floorless ride. The park also features Challenge Park, a separate area just for thrill-seekers, with Skyscraper, RipCord SkyCoaster and two high-speed go-kart tracks. While Soak City, the adjacent water park, offers mostly low-key rides, teens will get a scare out of Eerie Falls -- a series of slides in total darkness. Valravn, the world's tallest, fastest, and longest dive coaster, has riders climb an impressive 223 feet before being held over the edge for four seconds (can you say exhilarating?!). From there, dive into the three-minute journey experience that is truly whatever you want it to be! Find Sandusky, Ohio Family Hotels. Kings Island could be Cedar Point's cousin -- it's located just under four hours away in Mason, Ohio (outside of Cincinnati). It's also the largest amusement park (and water park) in the Midwest. Here, there are 14 coasters, such as Backlot Stunt Coaster, where riders feel what it's like to be a stunt car driver; and Invertigo, a face-to-face inverted roller coaster. The ultimate ride might just be Delirium, which swings back and forth while also spinning clockwise. When it's time for a break, teens should head to Soak City for Mondo Monsoon, a free-fall tube ride, and Rendezvous Run, a mat-ride in the dark. The Tropical Plunge is home to six different water slides towering almost seven stories high. Part of the Soak City section of the park, Tropical Plunge also houses a slide that sends riders twisting and turning through a chute that features some heart-pumping 360-degree loops across 449 feet of slide before jetting out into a pool of water. Tropical Plunge will add a whopping 35 acres to the already expansive water park, and children's play areas. 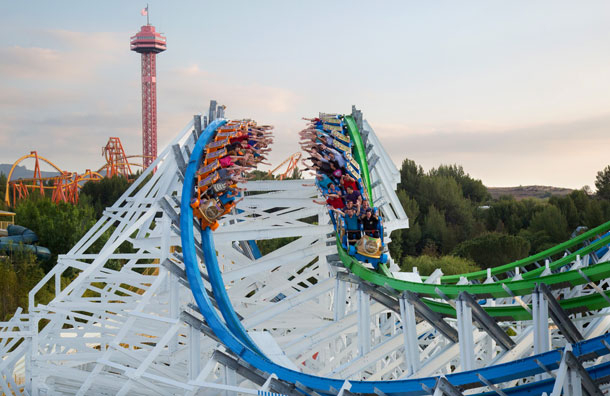 Located in Doswell, Virginia (about an hour and a half from Washington D.C.), Kings Dominion delivers top-notch thrills at heart-thumping speeds. Highlights include Anaconda, which features an underwater tunnel; Berserker, a giant swing ride; Grizzly, a roller coaster that travels through the woods; and Flight of Fear, where riders are propelled from 0 to 54 mph in four seconds. Soak City Water Park, located next door, delivers more thrills via Hurricane Heights, a new complex of several waterslides. If your teens would rather relax and listen to music, cabana rentals are available. Delirium, a spinning pendulum on which 40 riders are strapped into their seats and face outward on a giant ring will have teens screaming with excitment. Feet dangling, riders slowly begin swinging back and forth while the ring on which they're situated starts to rotate. Once the ride gains enough momentum, riders will have the opportunity to take in blurry (but still worthy) views of the park. Riders can expect to reach heights of up to 115 feet at a maximum arc angle of 120 degrees. There are 11 Six Flags theme parks in the U.S., but Six Flags Magic Mountain is our pick for teenagers. Located in Valencia, California (close to Los Angeles), the park added Twisted Colossus, the longest hybrid coaster in the world. Other favorites -- many of which are superhero-inspired (or villain-inspired) -- include BATMAN The Ride, GREEN LANTERN: First Flight, LEX LUTHOR: Drop of Doom, THE RIDDLER'S Revenge and SUPERMAN: Escape from Krypton. Don't miss X2 either -- it's a 5D ride with 360-degree spins. The New Revolution, a Virtual Reality experience, is sure to leave families wanting more. Hop onboard a fighter jet, in which you're the co-pilot, and prepare for air-to-air combat against the mother ship that is protected by drones. Twist and turn down the coaster's track before ultimately destroying (hopefully) the mother ship. 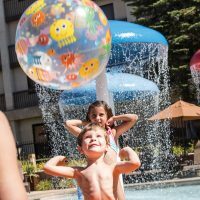 Find Los Angeles Family Hotels. Hersheypark has 13 roller coasters -- including Laff Trakk, the first indoor, spinning glow-coaster in the U.S. The ride mimics a carnival fun house, with a hall of mirrors and a rotating tunnel. 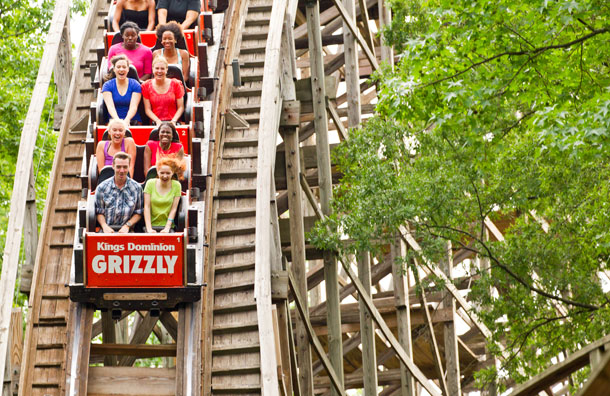 Other highlights include Great Bear, a floorless roller coaster; Fahrenheit, which has a 97-degree drop; and Wild Mouse, with corners that make riders feel as though they'll fly off the track. Hersheypark also features a boardwalk and water park, where rides include traditional slides, plus Tidal Force -- a ride with varying speeds (mostly fast), twists, turns and a giant splash at the end (expect to get totally soaked). 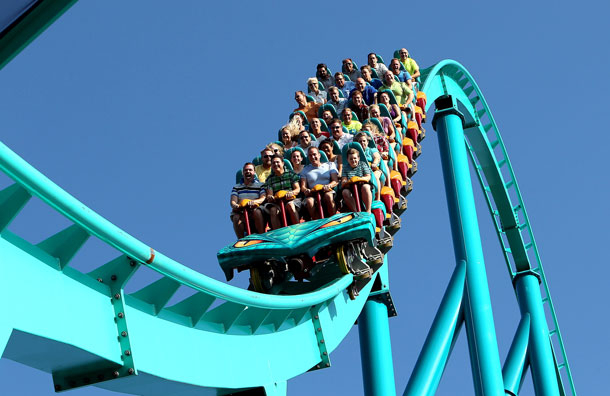 North of Kings Island in Toronto, Canada's Wonderland features the Mighty Canadian Minebuster, the longest wooden roller coaster in Canada, and Leviathan, one of the largest roller coasters in the world. Other fun for teens includes Time Warp, the country's only flying coaster; Behemoth, which rises 230 feet before a steep, speedy drop; and Night Mares, where riders are tilted 90 degrees while standing up! Teens also love Splash Works Water Park (included in admission), where Typhoon whisks riders on hairpin turns before dropping them into a funnel. Skyhawk will give riders control of their own cockpit, thus giving them a chance to showoff their flying capabilities as they make their way through 360-degree turns and a bundle of inversions at 135 feet in the air. Flying Eagles, on the other hand, is sure to be a favorite of both kids and parents. The two-person planes will float 28 feet in the air and give each rider the opportunity to have complete control over both their flight and ride experience. At Universal Studios Orlando, Islands of Adventure reigns supreme for teens. 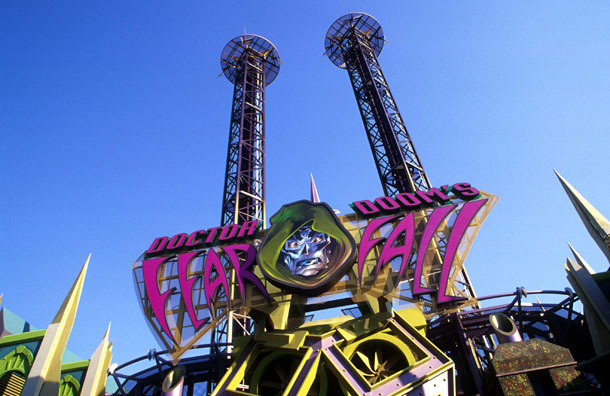 Rides include The Incredible Hulk Coaster, a rough and tough (and green) steel ride, and Doctor Doom's Fearfall, where riders wait and wait and wait until they are swiftly launched 185 feet in the air for the ultimate adrenaline rush. If teens aren't afraid to get their hair and clothes wet, Dudley Do-Right's Ripsaw Falls, Popeye & Bluto's Bilge-Rat Barges and Jurassic Park River Adventure shouldn't be missed either. Of course, a visit to Islands of Adventure isn't complete without time spent in the Wizarding World of Harry Potter, where there's another thrill ride -- Harry Potter and the Forbidden Journey -- and plenty of Butterbeer to go around. Reign of Kong, a ride to tingle all the senses is found on Skull Island. Journey deep into an ever-so-mysterious island, where huge prehistoric predators are bound to make an appearance, and you're only hope for survival is the gigantic ape himself, Kong. Find Universal Studios Orlando Family Resorts. 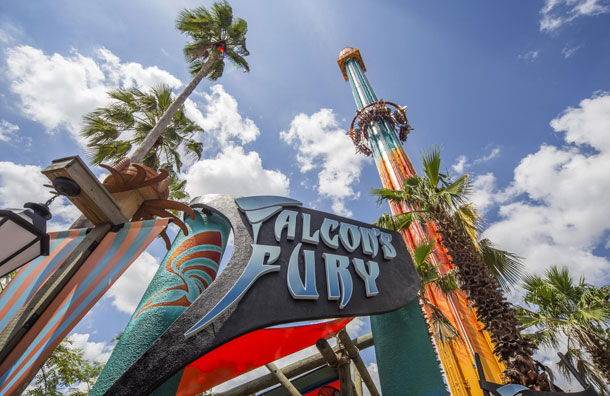 Busch Gardens Tampa Bay is a winner with teens because it offers favorites such as Falcon's Fury, the tallest freestanding drop tower in North America, and SheiKra, a floorless ride that climbs 200 feet to an edge -- and then stops -- before a 90-degree drop. The park also offers extended hours until midnight on Fridays and Saturdays during the summer -- perfect for teens who want to stay up late and experience the park in the dark. Cobra's Curse is a spinning roller coaster on which riders get up close with the towering structure of a snake. Find Busch Gardens Tampa Bay Family Resorts.